John Hopkins will return to MotoRapido Ducati for the 2017 MCE British Superbike Championship as both he and the team look to fight back from a difficult season in 2016. 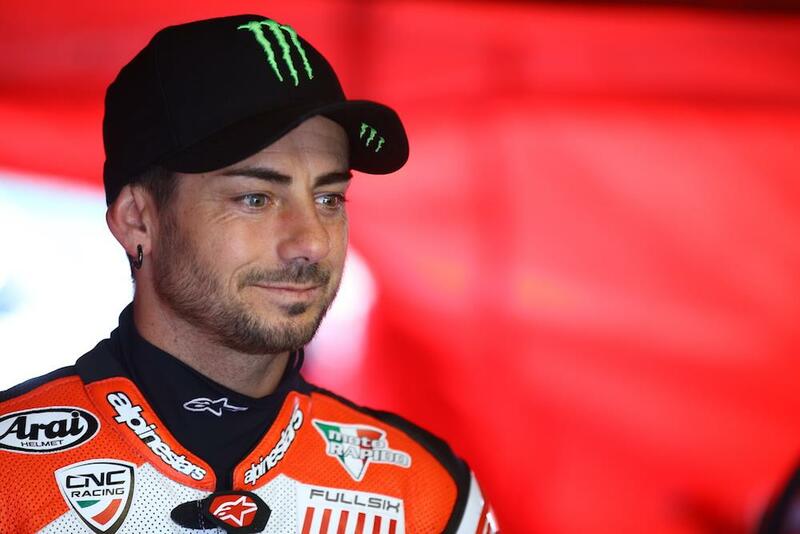 The former MotoGP star will be reunited with Steve Moore’s team after a challenging year aboard Yamaha’s R1 with Tommy Hill’s ePayMe-backed squad. While the American showed flashes of pace, a mid-season injury hampered his chances of making the most of progress made with the YZF-R1. With Hill’s team looking unlikely to make the grid in 2017 after the withdrawal of title sponsor ePayMe, Hopkins has opted to return to Ducati power in the hope that he will be able to pick up from where he and the Hampshire team finished the 2015 season – on the podium. In his last tenure with the team, Hopkins took Ducati’s Panigale to some of its best BSB results before multiple champ Shane Byrne hopped on the booming v-twin at the start of this year. “To be back with the Moto Rapido team and on the Ducati again is something I am really so excited about,” Hopkins said. “I enjoyed last season but I never felt as comfortable on the Yamaha as I did the first time I rode the Ducati in 2015. It’s such a great bike to ride and it really suits my riding style; I certainly hadn’t had as much fun riding motorcycles in a while until I had my first laps on the Panigale in 2015. “I love this team and they were always one of my first choices for the new season. We had a podium finish together in 2015 and I know that they have come on leaps and bounds with the development since then. During my time with them previously there were several occasions when we were in guaranteed podium finishing positions until we had some minor technical problems because so much was so new, but now this bike is the complete package. How the hell do you... Become Valentino Rossi’s mechanic? Team owner Steve Moore commented: "This time I wasn't going to miss out on John so we started talking right after the last race of 2016. The last time he was in the team we had consistently great lap times and even our first podium. Importantly the fit with John, our team and the Panigale was perfect. John’s very aggressive riding style and the Ducati work well together so I will be expecting top results. “BSB is going to be one of the toughest classes in any motorsport competition in 2017 with top class riders making up all the points scoring positions. It's a cruel class where being fractions of a second off put you at the back. I know we have the bike with some good updates for 2017 from Ducati Corse and a very good technical team, so I needed a rider who is very fast, is familiar with the pressure of the championship and loves the Panigale - so of course John was my obvious choice.